We first looked at Nvidia’s GeForce GTX 560 GPU in Zotac’s GeForce GTX 560 Amp!. 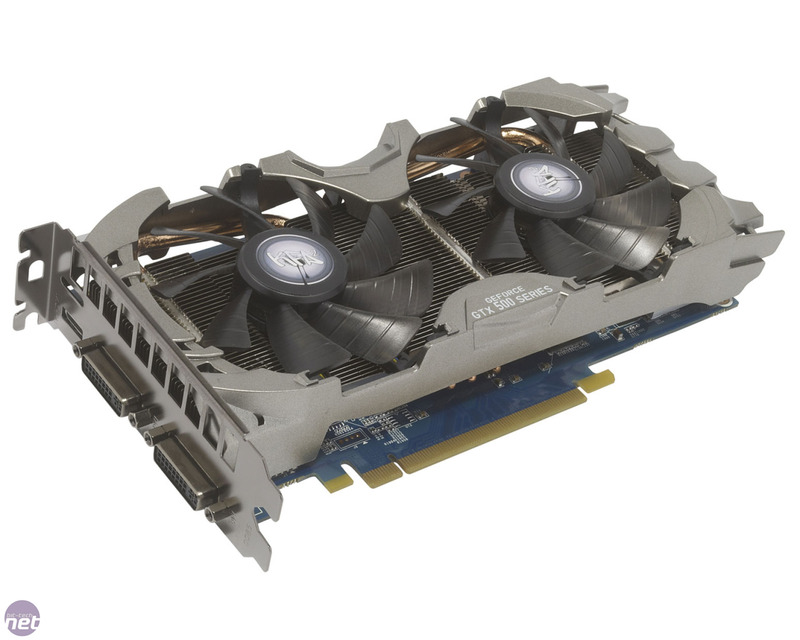 With Nvidia stating a range of stock-speed frequencies for the GTX 560, rather than a definite value, the Zotac was one of the fastest non-overclocked cards available. However, while the Zotac was fast, it also ran very hot, consumed almost as much power as a GeForce GTX 580 1.5GB under load, and cost only £10 less than the excellent MSI N560GTX-Ti Twin Frozr II/OC. Despite this, however, the GTX 560 GPU clearly had plenty of promise. It shares the same architecture as the excellent GeForce GTX 460 1GB, but with the low-leakage transistors and increased clock speeds of the GTX 500-series. 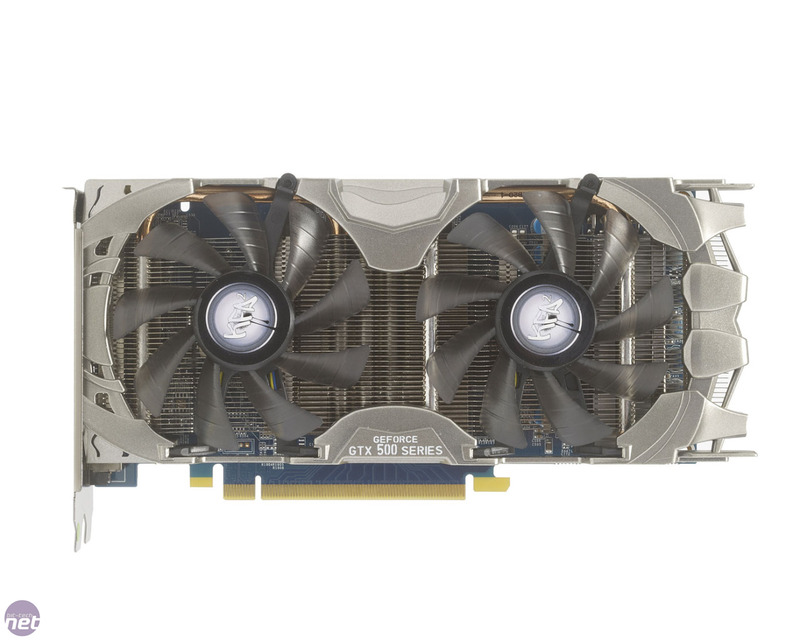 As such, we were intrigued by KFA2's elaborately-named GeForce GTX 560 EX OC, which takes a more conservative approach and also has a lower price. The GPU core clock is set at 905MHz, while the 1GB of GDDR5 memory operates at 1,002MHz (4,008MHz effective), which still places the EX OC towards the top end of the GTX 560 spectrum. Critically, KFA2 has used a core voltage of 1.064V under load -80mV lower than that of the Zotac card, which should mean lower power consumption, less noise and a cooler GPU temperature. Behind the clock speeds, the cut-down GF114 GPU remains the same. This means that it has seven streaming multiprocessors (SMs), providing a total of 336 stream processors, rather than the eight SMs of a full-fat GTX 560 Ti 1GB. The loss of an SM also drops the tessellation unit count to seven (from eight), although the ROP count remains the same at 32. The EX OC also packs an impressive-looking dual-slot cooler, clad in a Transformer-style grey plastic shroud. Aluminium cooling fins run across the length of the card, with three copper heatpipes running from the GPU contact plate through the fin stack to distribute heat. Fitted on top of the cooling fins is a pair of 80mm low-profile fans, which can be flipped out by loosening a small screw, enabling you to easily clean the cooling fins and fan blades. The card's power circuitry and memory aren’t fitted with separate heatsinks, though, and are instead cooled via the air that’s blown down from the cooling fans. KFA² claims its MDT X5 can span games over four screens, but how well does this work in practice?